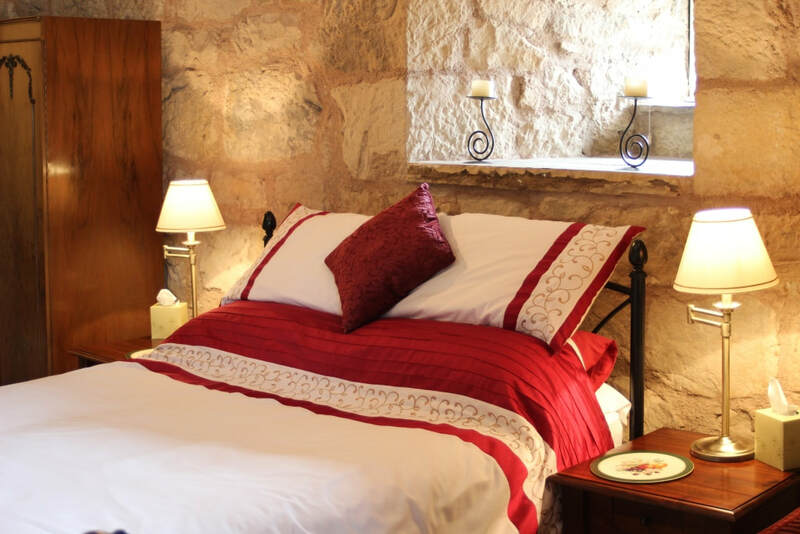 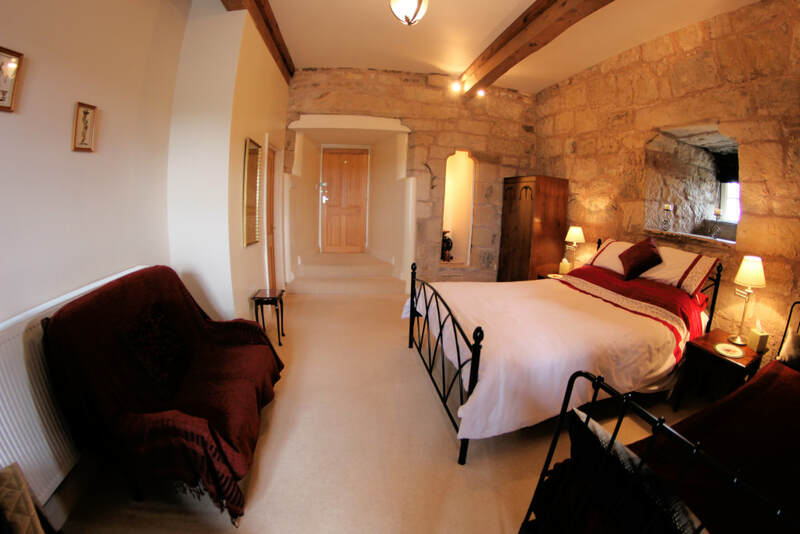 As the name suggests, the 14th century Pele Tower is an integral part of this incredible 21ft long bedroom with its magnificent en-suite bathroom and very own original spiral stone stairway. 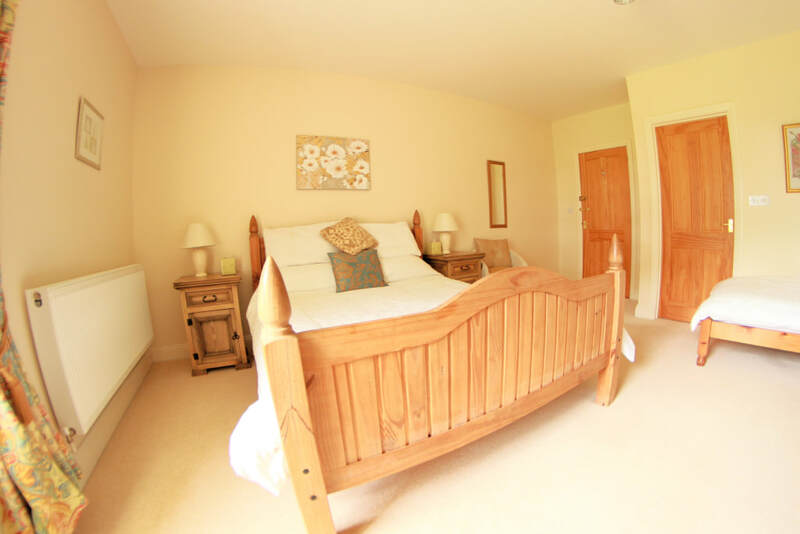 There is a king size bed and a full size single day bed (with plenty space for another single bed) as well as a sofa, large television and DVD player so a family can stay for an extended break in comfort. The 2 metre thick walls contain a lovely large window looking out over farmland which was a familiar haunt of the border Reivers. This super room is also much loved by couples who are looking for that special place. 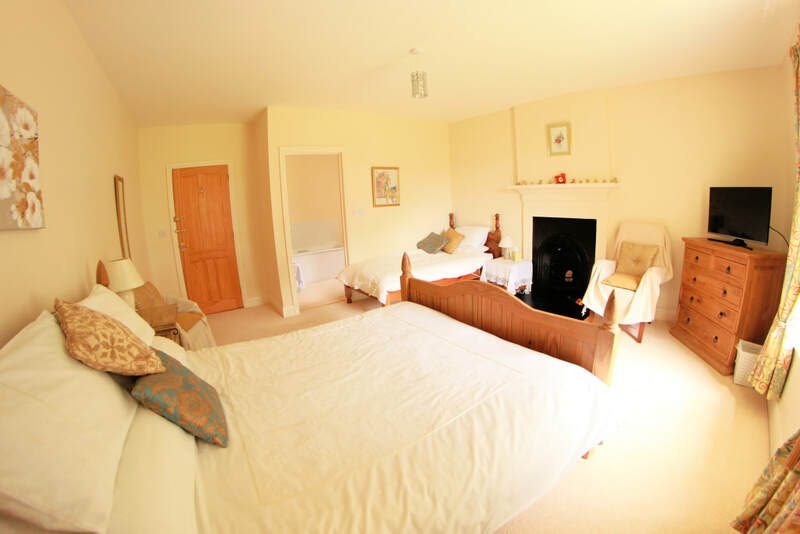 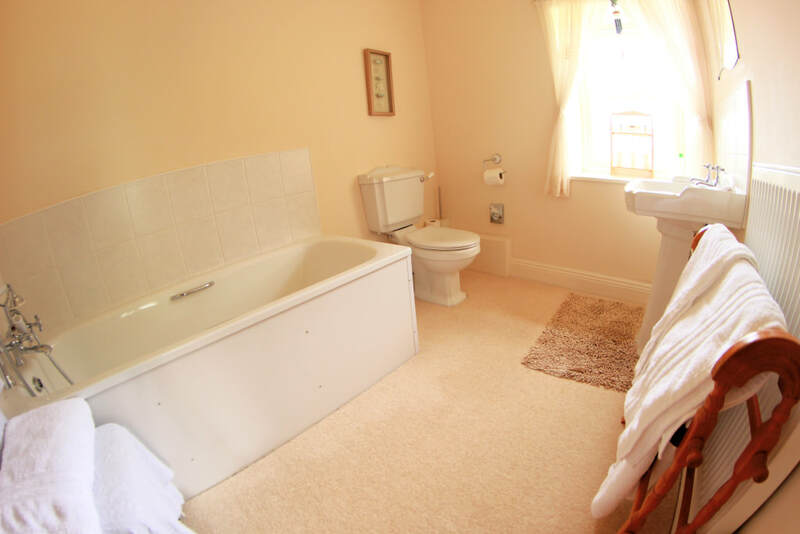 Another very spacious, bright and airy room with both a king size and single bed making it a comfortable option either for a family, a couple who like extra space or friends who wish to share a room but not a bed. Plenty space for our wooden cot or even another single bed! 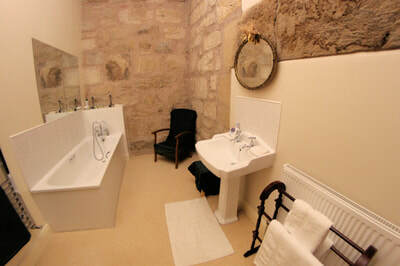 The generous en-suite has a bath and a powerful hand held shower attachment – the best of both worlds. 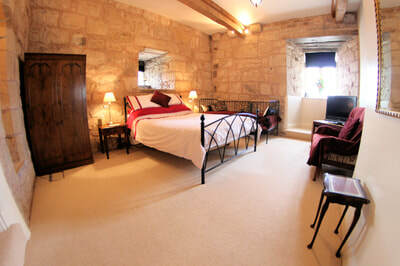 The room is south facing and looks out over the paddock and across farmland. 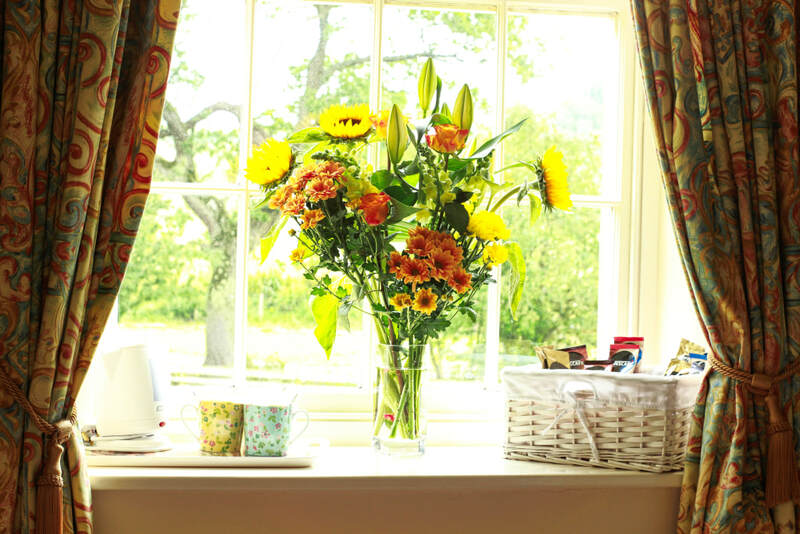 Well stocked hospitality hamper.